It's not only on the ice where Dan Cleary has earned a reputation as a crowd pleaser. He was, as is consistently the case, his usual self during Detroit's four-game sweep of the Phoenix Coyotes in their first-round post-season matchup. Offensively, Cleary, who recorded 26 goals during the 2010-11 regular season, was a constant scoring threat, initiating numerous chances in each of the four games. Defensively, the veteran of nearly 750 games consistently stifled the opposition, negating several opportunities. And for his hometown fans, the man who became the first player from Newfoundland and Labrador to get his name on the Stanley Cup when the Red Wings won hockey's top prize in 2008, he made sure the Wings got the job done on Wednesday evening. The veteran forward certainly put his stamp on the outcome. Cleary banked in the game-winning goal with 6:19 left in regulation, breaking a 3-3 tie and sending the Red Wings to a 6-3, series-clinching win at Jobing.com Arena. He also added an assist and skated off with first star honours. Most importantly, though, Cleary played a major part in giving the Red Wings some valuable time off before they meet their second-round opponent. Aside from having time to heal any minor cuts and scrapes, it also affords Cleary and his teammates the unique opportunity to go from player to fan, at least for small period of time. While he already has his game face on, Cleary, along with other NHLPA members also has perfected another look as well. The NHLPA and the Heart and Stroke Foundation have joined together to launch the ‘NHLPA Beard-a-thon', a charitable initiative that will help the Heart and Stroke Foundation in purchasing Automated External Defibrillators (AEDs) for local hockey arenas and communities across Canada. Hockey fans everywhere can log-on to www.beardathon.ca or www.nhlpa.com for more information on the ‘NHLPA Beard-a-thon'. By visiting www.nhlpa.com, fans can support the cause in three different ways: growing their own beard as they seek donations from friends and family; pledging a friend, family member or anyone else who is growing a beard; or, by making a pledge to their favourite beard-growing NHL player participating in the playoffs. 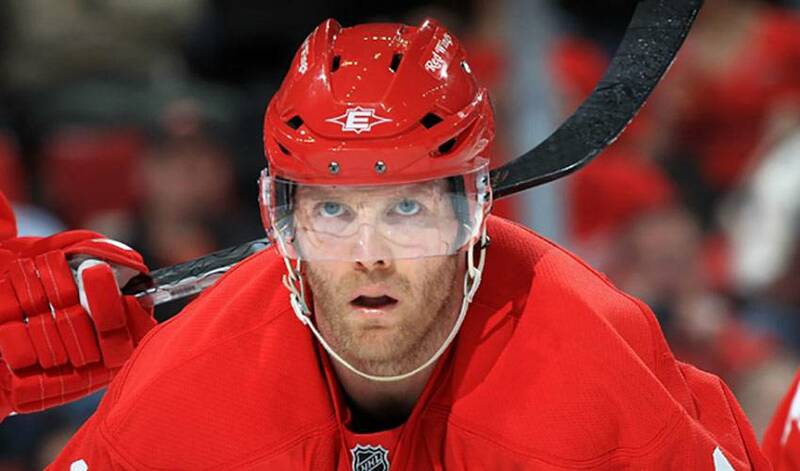 Cleary is not concerned about what his beard might look like, as long as the Red Wings continue their push towards winning what would represent the franchise's 12th championship. The Wings also have every player contributing on some level. Cleary, in spite of his impressive offensive performance in game four against the Coyotes, is willing to do whatever it takes to bring the Motor City another Cup victory. Effective is the way the people of Harbour Grace, in spite of the odd late night in front of the television, would gladly describe their beloved Dan Cleary.